Summer is a great time for kids to head outdoors and have some good old-fashioned fun while enjoying nature! If you are looking to fill in a week or so of day camps for your kids, here's a list of a few general day camps in the Madison area. Most of these camps give kids a variety of fun activities throughout the day, including sports, crafts, nature, and in some cases, water fun such as swimming and boating. If you are looking for camps that have more of a specific focus, I will be updating my posts from last year on sports camps, art camps, STEM camps, social studies and language camps, and preschool and special needs camps over the next several weeks. You will know if it has been updated if it has 2019 in the title. In the meantime, I have kept 2018’s specialty camp lists up so you can get started filling your kids’ summer with some camp fun! Kids entering grades K-5 from Chatham and surrounding towns. Monday-Thursday from 9am-12noon. Two-week sessions, June 24-July 5, July 8-July 18, July 22-Aug 1. Address: Camps in Stanhope, Somerset, Edison, and Mountainside. Boys and girls, scouts and non-scouts, grades 2-5 for Cub Scout camps. Boy Scout camps for older boys. Children entering grades 1-7; Leaders in Training for Grades 8-9. One-week sessions July 1-August 9. Field trip once a week. Ages 3-10. Ages 11-14 has CIT program. 8 week-long sessions end of June through mid August. 9am-1pm. early drop-off and late care available. Clubhouse for preschoolers and rising kindergartners; Riverbend Experience for grades 1-8; Day Trippers for grades 7-9. For ages 5-11. CITs for ages 12-14. Three one-week camps in July. Preschool - Grade 3. 9am-1pm. Weekly camps from June 10 through July 26. Ages 3 and up. CIT positions available for ages 14-15.9am-4:30pm, with early and late options. Weekly camps late June through late August. Ages 4-13. 8am-3:15pm, with early and extended day options. Weekly camps June 24-Aug 9. Address: multiple locations in North Jersey, including Jockey Hollow camp in Morristown, with bus pickup locations in local towns. Girls entering grades 1-9. Counselor in Training from grade 9-11. Girls who are not registered Girl Scouts can attend, too. For boys and girls, ages 3-15. 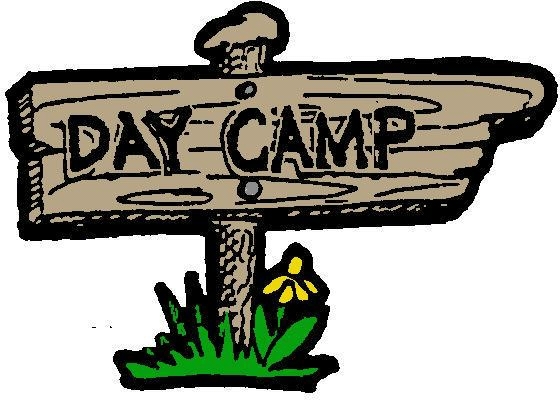 Camp Wantago for kids entering K-2 held at the F.M Kirby Children’s Center; Camp KidsQuest for grades 3-5 held at Drew University; Camp SummerQuest for grades 6-10 has drop-off at the Madison Area YMCA, but then fieldtrips to local places. Leader in Training for grades 9-11 at Drew University. Ages 4-5, and 6-13. Weekly camps June 24-Aug 9. Grades K-9. CIT program grade 9. Counselor program ages 15-17. 8:45am-3:45pm. Busing available. PreK-9th grade. CIT program for grades 9-11. Weekly camps, but must do at least 2 weeks. July 1-Aug 23. 9am-5pm. (drop-off starts 8:30, pick up ends 5:30) (also short day option) Busing available. Various camps for preK-grade 11.